You are here: Home / Home Designs / Our new affordable homes from $149,000! Say hello to Bella, Sofia and Lucia, our latest designs to join the Orbit Homes family. 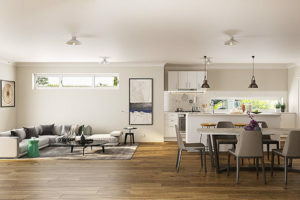 Starting from $149K, these contemporary homes are perfect for first-home buyers and investors with land (either titled or titling within three months). The open-plan Bella 151 clocks in at 16.3 squares and offers three bedrooms and two bathrooms. Bella 151 comes with a rear-master bedroom floorplan and fits lots 10.5m x 24m. It’s ideal for first home buyers with budding families. 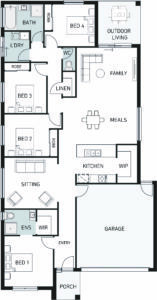 The Bella 151 is available in Queensland from $149,000 and in Victoria from $155,000. Learn more about her. 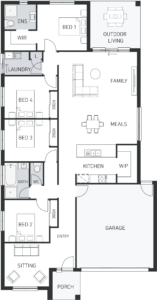 The Sofia comes in both front- (Sofia 209) and rear-master (Sofia 210) floorplans and sits a little larger than the Bella 151 at 22.6 squares. Both designs fit lots of 12.5m x 28m and boast four bedrooms and two-and-a-half bathrooms. 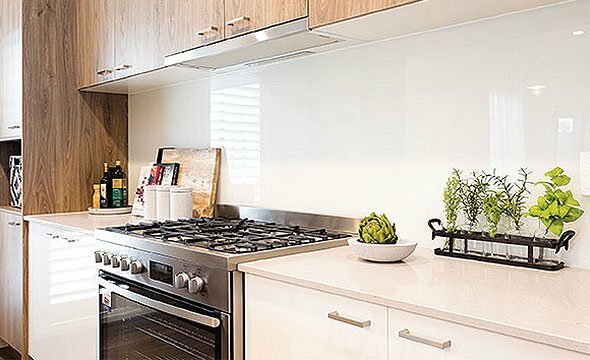 First-home buyers will live the dream in this home, with its open-plan yet modern style that has a perfect mix of sleeping, entertainment and living spaces. The Sofia 209 is and 210 are available in Queensland from $173,000 and in Victoria $177,000. Learn more about her. 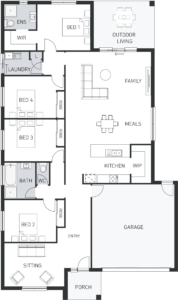 The largest of our three new homes, Lucia, also comes in front- (Lucia 227) and rear-master (Lucia 235) bedroom floorplans. With this floorplan, you can expect outdoor entertainment, open-plan living and modern designs to suit any family looking for that perfect new build home! 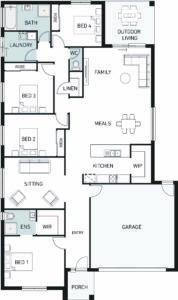 The Lucia 227 and 235 are available in Queensland from $184,000 and in Victoria from $188,000. Learn more about her. As with all our homes, Bella, Sofia and Lucia were designed with your family in mind. Whether you’re an investor or a growing family, first-home buyers can feel confident in our 25-year structural guarantee, hassle-free building experience and high-quality home that will last a lifetime. Take advantage of this amazing offer by visiting one of our display homes today!